During the month of August, artist Sally Lamas, will be designing and painting two murals on the front and side of the Co-op. The murals will feature the beauty of our local produce such as ruby red watermelon, bright green bell peppers and purple eggplants. Sally wants to show the insides of these fruits and vegetables when they've been sliced. "When I cut into a furry, brown kiwi, I'm always surprised by the interior," she said. "The brilliant green radiating with lighter stripes and all those black seeds just delight me!" 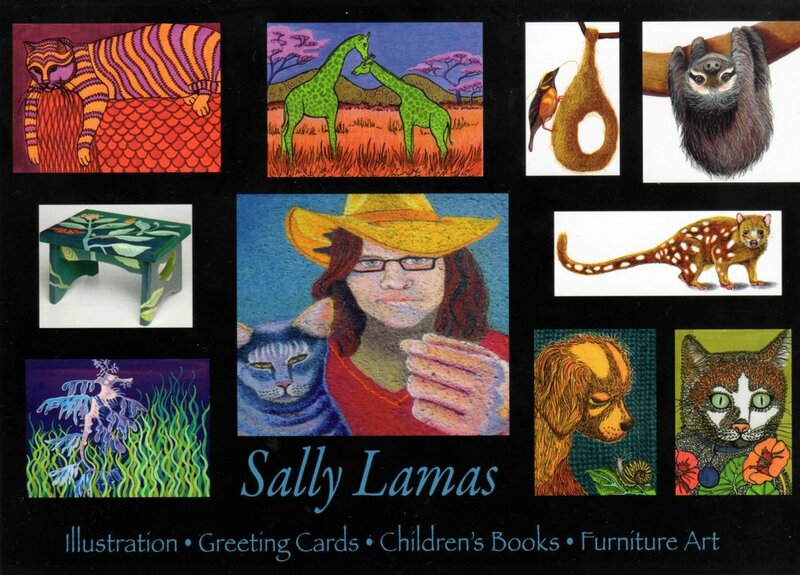 Sally has been painting and illustrating full-time on the Central Coast for the past five years but she's been creating art since she was a wee lass. Her main subjects are the creatures that live in our ocean, the deserts of Africa (where she was a Peace Corps Volunteer), and in her own backyard. She has shown her paintings, children's furniture, and greeting cards at Art After Dark in San Luis Obispo, Mama Ganache Artisan Chocolates in SLO (where her greeting card line is sold), Art in the Park at Dinosaur Caves in Shell Beach, Forever Stoked in Morro Bay for the annual Morro Bay Surfboard Art Festival, and the Inn at Morro Bay. Last fall, she completed two public murals on utility boxes in Pismo Beach along Dolliver Street. Her box titled "Whale Ballet" is located on the corner of Dolliver and Hind and "Otter Banquet" at the corner of Dolliver and Ocean View. Sally completed her first mural commission of an idyllic beach scene in a private residence in Atascadero. Keep your eyes out to see these murals as they progress!